Oskar van Deventer used to dream up Rubik’s Cube-like puzzles so complex that they were physically impossible to make. The ones that were possible, he painstakingly crafted out of wood or plastic or spent weeks waiting for a manufacturing facility to get back to him with a prototype. Then he came across 3D printing and discovered he could print any design himself; even the previously impossible ones. Today, his 3D printed puzzles can sell for hundreds of dollars on sites like Shapeways. 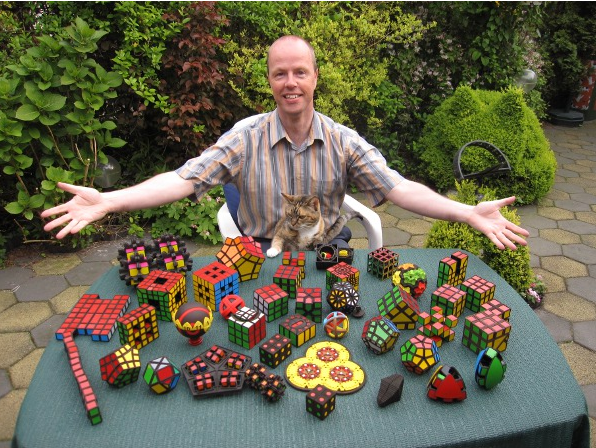 Oskar van Deventer poses with his array of puzzles 3D printed via Shapeways. It’s an often-told story regarding the future of consumer 3D printing. Just dream up something — anything — and then you’ll be able to print it. That reality hasn’t materialized yet, but the technology is developing fast. People are printing home goods, experimenting with printing food and developing next-generation printers that will embed advanced materials like electronics within printed objects. 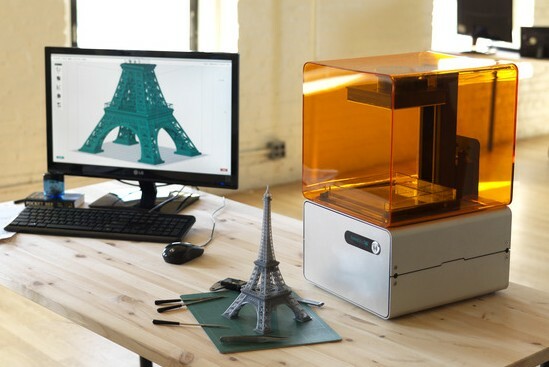 So 3D printers will undoubtedly play a larger role in our future, but to what extent? The easiest critique of current consumer 3D printers is that they are difficult to use. And it’s true. Current models are aimed at experienced tinkerers, whether their manufacturers admit it or not. 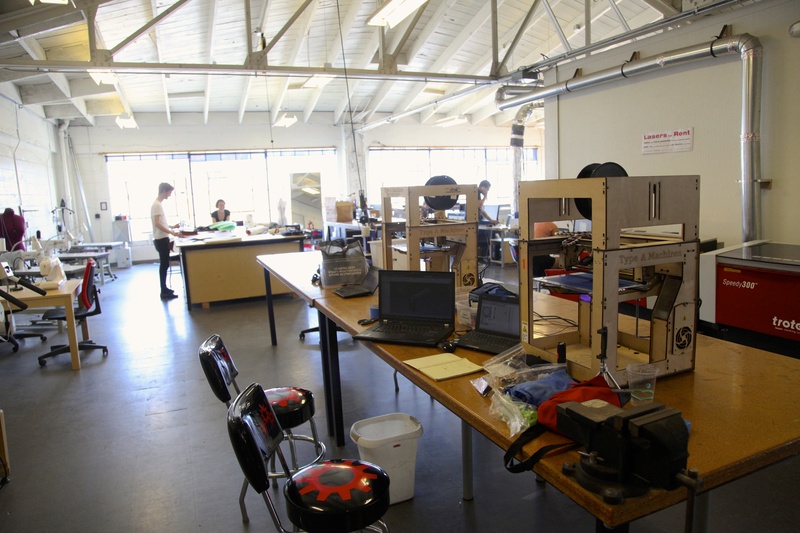 Pirate3D is part of a growing group of 3D printer companies that were born for less experienced users. While Chang admits the Pirate3D Buccaneer printer’s early adopters will still be tinkerers, he said the eventual goal is to reach as many people as possible. With a price tag below $500, it’s not that hard to imagine convincing 3D printing newbies to invest. There’s even already a $100 printer. The Buccaneer 3D printer. Courtesy of Pirate3D. So cost is not the issue. It’s the combination of cost and ease of use that matters. There is no iPhone of the 3D printing world yet. You have to know how to level a print bed, fine-tune printing settings and deal with parts breaking constantly. 3D printing is not a task for the casual user, and it can grow frustrating for even experienced people. 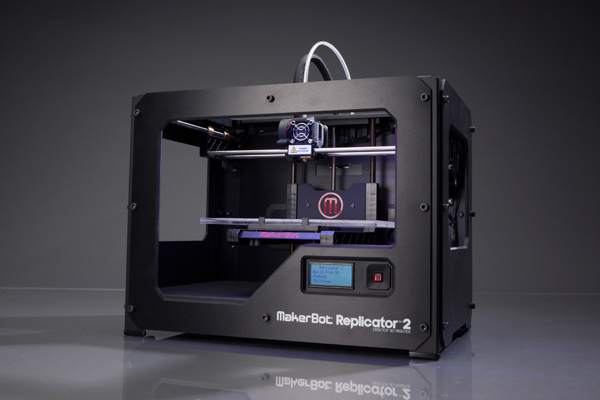 The Makerbot Replicator 2. Courtesy of Makerbot. The second easiest critique for 3D printers is that they only print plastic. That’s great for creating lots of objects people use everyday, from bolts to spoons, but it’s far from the replicator Star Trek conditioned a generation to expect. There are already 3D printers that work with other materials; they just aren’t available to the average consumer. That’s due in part to patents on different 3D printing technologies, which only began to expire this decade. Next year, for example, patents covering a printing technology known as laser sintering will expire. 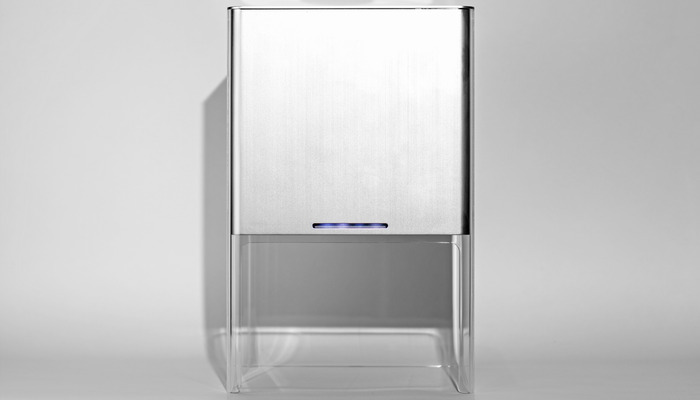 3D printer maker Formlabs, based in Cambridge, Mass., will also release a stereolithography printer next year after a runaway Kickstarter campaign. Both types of printers work by exposing powdered or liquid materials respectively to a laser, which seals together particles to create the final shape. It’s faster and capable of greater detail than the pervasive method of laying down melted plastic. Even more exotic printers are on the way. Just look at Shapeways, which prints and delivers 3D objects to anyone on demand. The company’s top-of-the-line printers are capable of printing in 10 different materials, including brass and ceramic. It’s professional technology right now, but consumer printers that work with metal and other materials aren’t far off. Laboratories are looking even further out. There’s the concept of 3D printing food, including meat. PARC is working on printable electronics, a feature that could be incorporated into future 3D printers. It’s not that crazy to think we’ll be printing chairs and houses or replicas of priceless art. You start a new company, and you need a logo. Do you design it yourself? You might, but chances are you won’t. You want a professional to do it. 3D printing works the same way. Few of us learn to be experts with Photoshop, and few of us will learn to be experts with computer aided design software. As consumer 3D printers have grown in popularity, so have marketplaces where you can download thousands of designs ready to be 3D printed. This is what will make 3D printing easy for the average person. They don’t have to deal with anything except hitting “print” when they’ve found their design. A selection of downloadable designs on the Makerbot Thingiverse website. It’s pretty easy to imagine a future where almost anything you would ever want to print has already been created and is accessible by a quick online search. Customization will be accomplished with easy drag and drop tools that mesh with user’s current understanding of programs like Microsoft Word and Powerpoint. Basic building and modifications will be intuitive. 3D scanners will also make things easier. Scanners take in a physical object and create a virtual file that can be printed, creating a replica of the original. 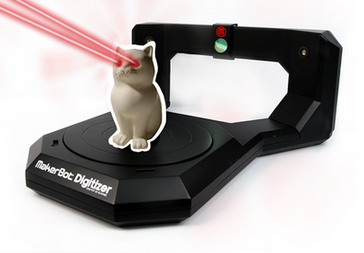 The MakerBot Digitizer 3D scanner. Courtesy of Makerbot. “That’s all coming down the pipe and that’s going to provide more and more possibilities for casual designers and casual makers to do really really cool things,” Jacoby said. I haven’t owned a paper printer for about three years now. A prevalence of printers on my college campus and the later realization that I didn’t print enough sheets in a month to justify a printer taking up space in my apartment led to me swearing off them forever. The few times a year I need something printed, I go to Kinkos. It will be easy for people to feel the same way about 3D printers. Companies like UPS are testing offering 3D printing services. Libraries could be next. Very quickly, there are going to be places in our communities that offer access. Companies that let people avoid 3D printers altogether but still reap their benefits are also cropping up fast, Shapeways being the biggest example. While being mailed an object is slow, there are other benefits to working with a company like Shapeways. Shapeways CEO Peter Weijmarusen said he sees a world where consumer and professional 3D printers serve different purposes. While a household 3D printer is good for meeting a last-minute need, there are bigger projects that call for higher quality — say a class project or a prototype. That’s where companies like Shapeways step in with million-dollar machines unaccessible to the average person. Forget about patents if this technology becomes mature. Laws and legislation will retain freedom of the general public in order to protect the freedom of a few rich elite who will want to protect their base a richness: labor, knowledge en nature. Reason more why fascism will become emerging if that small elite will have it’s way. Could 3D printing make a robot? It’s true, designing will not get much easier when doing it from scratch. However customizers will become popular. This will empower home users to at least be able to modify designs when they cannot create them from scratch. China will manufacture the printers and the plastic. I certainly don’t think I’ll ever own a 3D printer but they sure are interesting. I love watching them in motion. Slow motion videos of a 3D printer in work is very neat to watch. Thanks for sharing the read!